On Sunday, September 23 a cycle race will take place across West Sussex. 15,000 amateur riders will take part in Velo South, taking a 100-mile route through the South Downs. The event starts and finishes at the Goodwood Motor Circuit and the route goes out nearly as far as Horsham. Cycling is increasingly popular, and British success in international competitive events – most recently with Geraint Thomas’ win in the Tour de France – has raised the profile of the sport. However, these type of events require extensive road closures along the route. In the case of Velo South, many local people who will be affected by these closures feel that there has been inadequate consultation. I have met parish councils who are very concerned about this, and I have received strong representations from a number of constituents about the disruption which they expect to face. 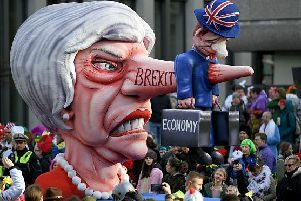 West Sussex County Council says that its only role is to implement the road closures on behalf of the organisers, and that the decision to hold the event was not theirs – although they also say that the council’s cabinet has given the event ‘political endorsement’. Velo South’s organisers say that it is ‘one of only two cycling events in the UK this year that offers participants the thrill of covering the magical 100-mile distance on a closed road route – the ultimate experience for an amateur rider’. They point out that the event is privately funded, and they say that there will be ‘significant economic benefits’ to the local area, as well as to the charities that will be supported by rider sponsorship. I don’t agree with those who say that such events should not be held at all. Major sporting events in this country, and indeed locally, frequently cause disruption to local roads – but have clear wider benefits. But Velo South is a major new event in West Sussex. There is an especially strong responsibility on the organisers – who are profit-making – and the county council and other authorities to ensure that the disruption to local communities is minimised, there is proper communication and consultation, and the event is run professionally. Far more needs to be done to engage with and reassure the local community. Local people who will be affected by this event are not killjoys – and they are entitled to be treated with respect. You can find further information, including the highlights of my diary each week, on my website: www.nickherbert.com.